Passcode/Password are quite a quintessential thing in the days as of today. Not that it wasn’t of use back in the years gone by, but with the rise in smartphone industry and offerings of highest grade has made the use of Password/Passcode to the highest order. 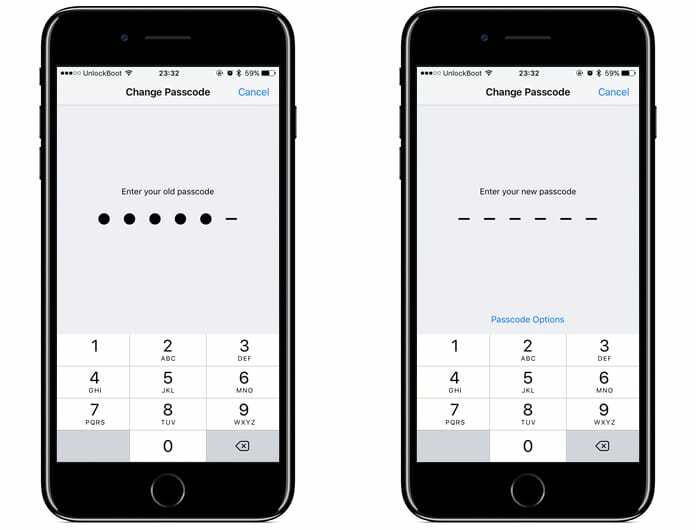 Read this article to learn how to change iPhone passcode or lock screen password easily. With so much on offer to use in iPhone, people are bound to think of protecting their privacy and other matters. In steps the convenient password or the passcode for the purpose. For starters, iPhone allows a user to set a password in different forms so as to ensure no unauthorized usage of the same device occurs in your absence. A quick glance in the password variants showcases Touch ID, or the numerical digit based one or even the alpha-numeric passcode for the same. We here would look into ways to change the password/passcode on the iPhone so as you be on the safe side ever. 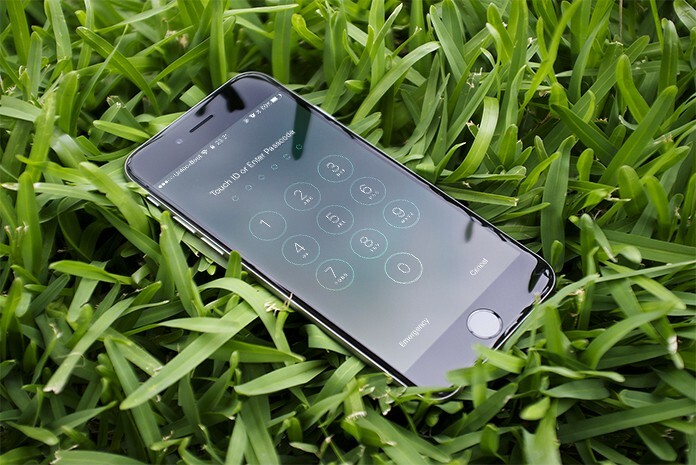 Why Do you Need to Change Passcode on iPhone Frequently? If you’ve been using the password/passcode to keep your phone protected against any unauthorized access, it’s better that you change it every once in a while. That way you’ll always be on the front foot. Even if someone has access to your old password, the new change will help it keep it safe. The iPhone as we aforementioned, allows you to set the Touch ID, where you can use your fingerprint to access the phone. It works charmingly well and is often the best bet for safety as fingerprint shall remain unique to you. Other than that you can also set 4-digit or 6-digit numeric keys or a mixed form of passcode as alpha-numeric. 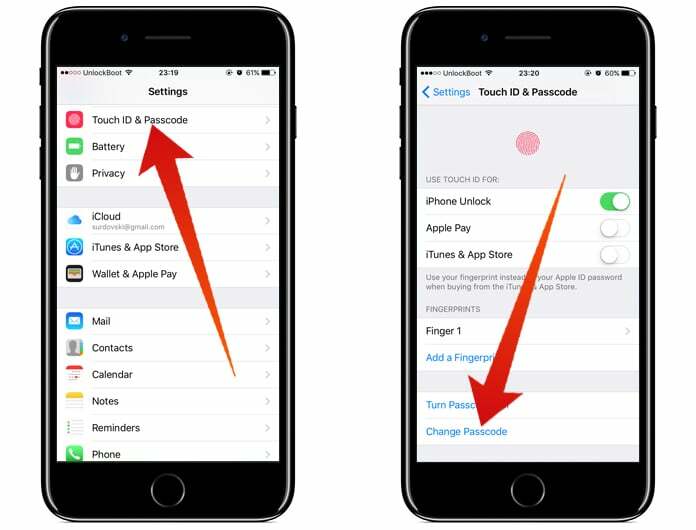 Below are the steps to change iPhone passcode (password) from the Settings of the device. Step 2: Click on the Touch ID & Passcode option. Step 3: A new window will be presented requesting you to enter your current passcode. Step 4: Proceed to enter the current passcode after which you’ll be redirected towards the option to ‘Change Passcode’. Step 5: Then enter your ‘Current Passcode’ again before entering the ‘New Passcode/Password’ on the option down below. Step 6: Your ‘New Password/Passcode’ will be set now. After you change iPhone passcode, only the new passcode/password will work with your iPhone and the old one would cease to exist. So anyone who knew your old password too won’t be able to access your iPhone and it shall stand safe from the breach. Always look to change your passcode with time to be on the safe side of things. And with plenty of password variants on offer on iPhone, you can choose the one as per your liking which is a great thing to have. Care for these subtle things and there would not be a thing to worry for you. With that said, it’s time we bid adieu from this one. We’ll be back with another one the next time. Do send in your thoughts on this down below via the comment box and let us know about it.